Rs1,650.00	Rs1,850.00	10.81% off	Price drop alert! 1. Streched X wheelbase, arm of split structure design (3K high strength carbon plate) degree twill boring surface. 2. The fuselage of the cabon fiber frame structure, so that 2mm roof and the whole body to be more solid support. 3. Removable bumpers, equipped with two sets of different structure of the camera mount, convenient for players to choose whether to use bumpers. 4. According to individual needs, can choose the frame assembly of battery on or under. 5. 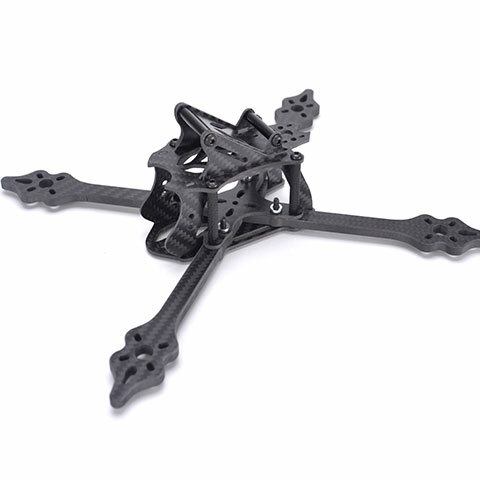 The carbon fiber frame is equipped with M3 Fang Sheng screws (including motor screws), high-strength aluminum column, never sloppy.